Tent structure is getting very popular now. It is widely used for different outdoor events, especially for wedding party. These days, double decker tent for wedding is very popular. 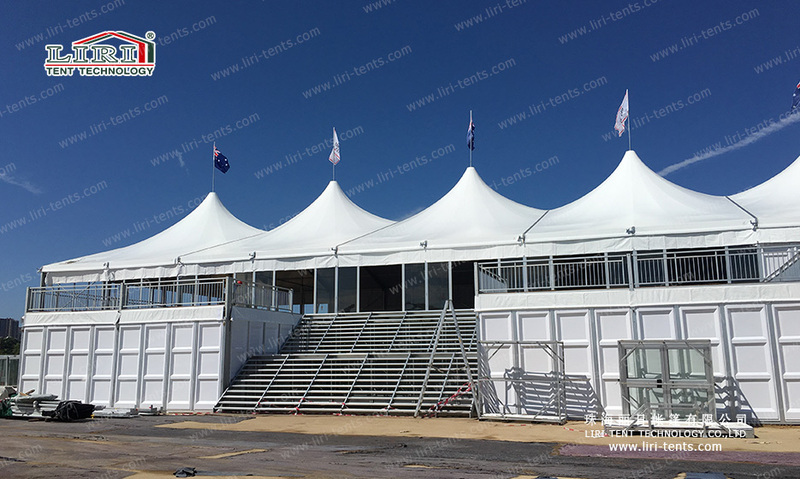 Liri Tent devoted to design the wedding double decker tent to make it suitable for different kindsof wedding receptions. 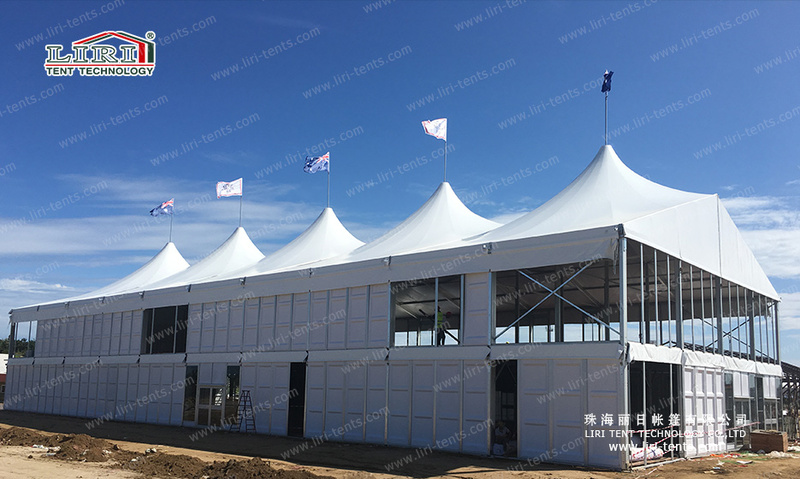 Here in Liri Tent, we can offer different szies and various styles of wedding double decker tents, such as the the popular A shape double decker tent, arcum shape double decker tent, dome shape double decker tent, high peak double decker tent. The pictures attached is Liri latest wedding double decker tent design — high peak double decker tent. As you can see in the pictures, there are many high peak on the roof. It is a flexible design, the number of high peaks depends on the tent structure, and also can be decided by yourself. You can also combine the A shape double decker tent with the high peak double decker tent. The wedding double decker tent is a movable design, which would be equipped with the glass walling system and ABS walling system which make the whole structure more luxury and looks like a building. Besides, since it is a movable structure, you can hlod your wedding or event anywhere you like without worrying about the wedding reception location. 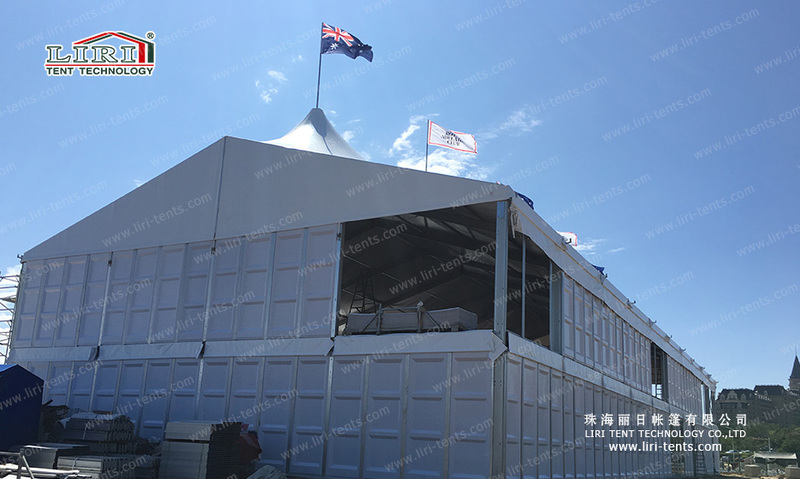 Here in Liri Tent, we can offer you the best wedding double decker tent for you. Also, we have full line of optional accessories for it, including the roof lining, sidewall curtains, tables, chairs, and so on.